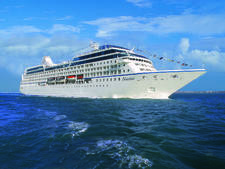 Sirena, which debuted in April 2016, is the fourth of defunct Renaissance Cruises' R-class vessels to join the Oceania Cruises fleet. (The others are Regatta, Insignia and Nautica.) In many ways, it's identical to its siblings, with key attributes being its small size and ability to offer itineraries in both marquee and out-of-the-way ports. After acquiring the ship from Princess Cruises (where it had sailed as Ocean Princess), Oceania gave the ship a major refurbishment, and the 1990s-built vessel now feels almost brand new. Special attention was paid to revamping all cabins with new soft goods and upholstery, upgrading restaurant galleys and modernizing decor, and completely re-outfitting the beautiful teak-lined pool deck. In other culinary news, Sirena is the first Oceania ship to try out a new concept at lunch. Jacques Bistro, hosted in the Grand Restaurant every day but embarkation day, offers French fare via menus that rotate every 14 days. Oceania's Sirena is a great ship if small size matters and if you want a cozy and elegant yet unpretentious home base while you spend long days exploring ports of call. Oceania markets mainly to English-speaking travelers from the United States, Canada, the U.K. and Australia. Passengers typically are seasoned travelers in the 50-plus demographic. Plan for country club casual, and you'll be fine. Casual tropical wear is the norm during the days onboard. Pack pretty, flowing skirt/pants outfits for women, and jackets and maybe one tie for men for evening attire. There are no formal nights, though many passengers do dress for the welcome dinner. 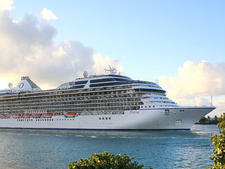 Gratuities are not included in the cruise fare. Passengers in standard category cabins pay $16 per person, per day. Those in suites, all of which have butler service, pay $23 per person, per day. 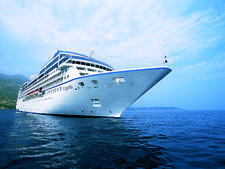 Dining at all restaurants onboard Oceania Sirena is included in fares; there are no service fees levied. While alcohol costs extra, soft drinks, bottled water and coffee drinks are complimentary. 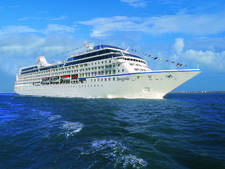 Oceania has evolved into a more inclusive cruise experience with its OLife Choice promotion. 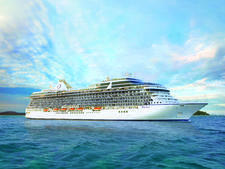 Passengers can choose an inclusion from a list that includes a beverage package, shipboard credit or shore excursions.